This is one of those fast and easy sweet treats that you can make quickly and enjoy for days, as a little goes a long way. My kids love it, and can eat loads of it, while I find one piece is enough, as they are rich. 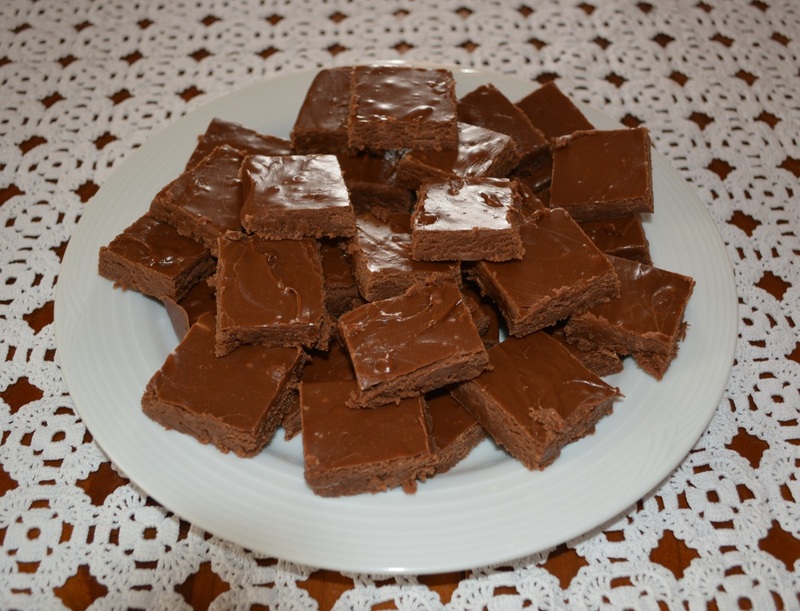 This is a melt and mix kind of fudge recipe, no sugar thermometers are needed, so anyone can make it. Don't be tempted to taste the hot fudge mixture, as it is super hot, and will burn your mouth, trust me, I know. Also I like to use choc melts, it is easier than grating or chopping up a block of chocolate. And if you don't grate the chocolate, your fudge will be a little choc chip like, which my kids don't mind. Feeling like a sweet treat, give it a go. Grease and line with baking paper your brownie tin, making sure the paper goes up the sides so you can easily remove the fudge once it has set. Put the butter, sugar, milk and marshmallows in a saucepan over a low heat and melt slowly, stirring, regularly. Once the sugar has dissolved, turn up the heat and let it boil for 5-6 minutes. Remove the saucepan from the heat and add the grated chocolate. Allow to stand for 1 minute, then stir the mixture well, to melt all of the chocolate. Pour the chocolate mixture into the prepared tin and leave to set for at least 2 hours. You shouldn't refrigerate it, it goes too hard. Once set cut into 25 squares.